A small group of volunteers in Westchester County founded the agency in 1983 with assistance from the newly-created AIDS Institute at the New York State Department of Health in response to the burgeoning AIDS crisis. At its founding, the agency was known as the Lower Hudson Valley AIDS Task Force though it served the same seven county region it covers today: Dutchess, Orange, Putnam, Rockland, Sullivan, Ulster and Westchester. It was the first community service organization in the region to specifically serve those affected by HIV/AIDS. From the beginning, the agency embraced vulnerable, disenfranchised and underserved communities like the LGBT community, people who use drugs, prisoners, and immigrants. The agency incorporated in 1986 using the business name AIDS-Related Community Services, Inc. and was widely known as “ARCS” for much of its history. In an era when even hospitals refused to treat AIDS patients, ARCS was the first agency to offer on-site client services. ARCS pioneered HIV prevention education among New York State inmates and piloted the Prisoners’ AIDS Counseling and Education (PACE) program in 1991. The agency started AIDS education in methadone clinics as early as 1987 and had to do just as much education among clinic staff as among patients. ARCS also partnered with Westchester Jewish Community Services (WJCS) to offer the first on-site mental health clinic for HIV-positive people in the region. ARCS specialized in helping people with HIV/AIDS, drug use, sexually transmitted infections, and hepatitis C case management and prevention, winning many state government grants and contracts. 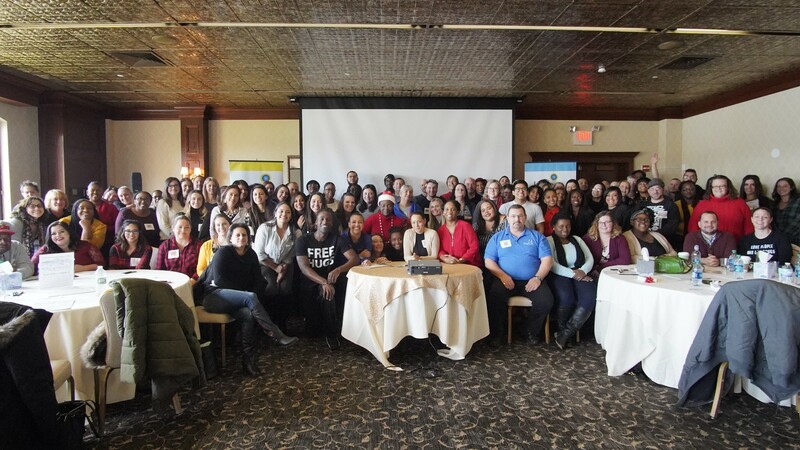 The organization maintained—and does to this day—its status as the designated Regional Prevention and Support Services Provider for the Mid- and Lower Hudson Valley region. ARCS was the lead agency for the Ryan White CARE Network of the Hudson Valley, a patient advocacy group. In 2008, we opened the Mosaic Center, a street-level community drop-in center in Mount Vernon to specifically address the increasing disparity in HIV infection rates among minorities. In 2012, New York State made adjustments to Medicaid-reimbursed care management programs that initiated broad changes at ARCS. The newly redesigned Medicaid program allowed us to expand beyond HIV/AIDS care management to take on low-income clients living with all kinds of chronic diseases—over 200 illnesses, to be more exact. Clients who come to us in need of care coordination who have HIV/AIDS, mental health issues, or two or more chronic illnesses can receive no-cost assistance. The agency changed its mission statement accordingly and adopted a new name: Hudson Valley Community Services. While many of our services still focus on HIV/AIDS, we have been able to offer an increasing range of programs to address other health issues. We now operate a SNAP (food stamp) access and education program in three Mid-Hudson counties. We also have two van-based drug prevention programs, one of which is the region’s only syringe exchange program. We have also been able to slowly increase emergency services, such as food pantries and housing support, for all our clients regardless of HIV status. In 2016 we celebrated our thirty year anniversary as an incorporated non-profit organization. In late 2018 we expanded into a brand-new service area, offering cognitive behavioral interventions to decrease recidivism among jail inmates. HVCS staff serve on multiple planning and collaborative bodies throughout our catchment area, including three health homes, two DSRIP initiatives, and many regional provider networks. HVCS has taken a leadership role with the administration of our Ryan White Part A funding, and conducts extensive outreach to medical providers in the region to assist them with the provision of necessary supportive services. Currently, HVCS employs over 100 staff members and has eight offices. We served 3,750 clients in 2017.